Dar es Salaam — Ministers of Energy from Tanzania and Uganda are meeting tomorrow in Kampala to finalise talks on the joint pipeline project from Hoima to Tanga. The meeting was earlier planned for Uganda on Thursday, last week, but it had to be postponed to tomorrow because participants had other important engagements. Energy deputy minister Subira Mgalu confirmed to The Citizen on Tuesday about the change of date and that experts from the two countries had been meeting since Monday to lay out final plans on how to operate, execute and supervise the project given the different laws in the two countries. "Our experts have been attending the preparatory meetings. The ministerial meetings will be held on January 25," she said. Since the project's inauguration in August 2017, there have been a series of technical meetings between the governments of the two countries, but there are a number of issues that have not yet been addressed. Some of the pending issues are the registration of companies to be involved in the project, distribution of revenue, issues related to defence and security for both countries, and citizen participation in the implementation of the project. According to the National Economic Empowerment Council (NEEC) executive secretary, Ms Beng'i Issa, Tanzania and Uganda have reached a number of agreements that will ensure the project creates employment opportunities for locals within the two countries. The execution of the 1,445km stretch of underground crude oil pipeline from Hoima in Uganda to Tanga in Tanzania will cost approximately $3.5 billion. Available data show that Tanzania has so far managed to register a total of 255 firms that are earmarked for various tenders related to the crude oil pipeline and other related projects. 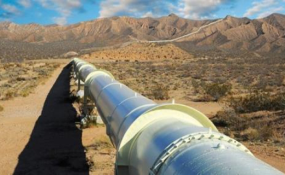 A distribution manager at the Energy and Water Utilities Regulatory Authority (Ewura), Mr Thobias Rwelamila, said when the crude oil pipeline project starts, Tanzania will have four out of a total of six camps from which the project will be implemented. "Every camp will have an average of 1000 personnel involved on the project hence basic requirements like food, water and security will be of high demand," he said, calling upon Tanzanians to grab the chance.